A reliable source for Fractional Horsepower Motors information and a resource for accessing leading Fractional Horsepower Motors and suppliers. Fractional horsepower motors are small motors that run with a power rating of less than one horsepower, or a fraction of a horsepower. Built on a frame, manufacturers simply refer to fractional horsepower motors as FHP motors. The categorization of FHP motors is usually relative to the size of the frame and the total amount of fractional horsepower in the motor. For example, 42, 48, and 56 size frames are still considered to be FHP motors even if the motor has more than one horsepower. In general, though, for small electric motors to be classified as FHP motors, they must have a power output of only 746 watts or less. FHP motors are used with any and all applications that require low power for controlled motion. From surgical devices to car windows to household appliances, the compact nature of fractional horsepower motors makes them a great resource in a wide range of industries. Some of the industries that rely on fractional horsepower motors most include automotive engineering, heating and cooling, household appliance, agriculture, food and beverage, and personal care/hygiene. Fractional Horsepower Motors Fractional horsepower motors are small motors that run with a power rating of less than one horsepower, or a fraction of a horsepower. Built on a frame, manufacturers simply refer to fractional horsepower motors as FHP motors. At Electric Motor solutions, our goal is to provide the best motors and equipment to meet the needs of your application. Products include linear actuators, electric motors, speed reducers, custom motors, vacuum cleaner motors, AC motors, and more. As a manufacturer of both custom and standard fractional horsepower motors, ElectroCraft makes it our goal to exceed the expectations of our customers at a low cost, no matter where they are. Hankscraft OEM is recognized as a Six Sigma Black Belt-certified, low risk manufacturer. Founded in 1920, Hankscraft has been producing dependable, high-value components and complete turn-key solutions for Fortune 500 companies and others where manufacturability and profitability are key. Hankscraft has designed and manufactured thousands of parts, components, and complete electromechanical assemblies. Since 1935 Graham Motors and Controls™ has provided variable speed drive products to the global market place. The Ring-Roller mechanical variable speed drive can be found in operation today on six of the seven continents. Graham's engineering expertise has consistently provided mechanical and electronic motion control solutions for thousands of companies. Maxon Precision Motors, Inc., manufactures small, high-quality, precision DC brush and brushless motors used in medical, semiconductor, test and measurement, robotics, and manufacturing applications, among others. The basic technology used in fractional horsepower motors, the induction motor, was invented by the scientist and inventor Nikola Tesla in 1888. Despite the fact that he invented the means to power motors, it wasn’t until 1915 that use and production of FHP motors began to become more widespread. This increased use of FHP motors corresponded with the growing installation of electric utilities in urban areas. The washing machine, for example, was one of the first consumer applications of FHP motors. Engineers and manufacturers began using and installing FHP motors in appliances so rapidly that, by 1920, the United States alone housed over 500,000 functioning FHP motors. Following World War II, FHP motor manufacturing experienced a new surge as the demand for consumer goods increased. Since that time, demand for these environmentally-friendly motors has continued to grow and the number of applications that they can be used for continues to rise. For example, most automotive systems, power tools, small machines and appliances use FHP motors. Because of the practicality of FHP motors, they continue to be incredibly popular. In 2017, experts estimated that the European FHP market was worth around 4.5 billion USD. When designing or selecting a fractional horsepower motor, manufacturers must first decide on a number of different details, based on their applications. Such details include required maximum and minimum torque, required maximum and minimum speed, speed variability, speed reversibility, how quickly the motor moves from powered down to full power, and whether or not to include brushes. Horsepower is a measurement of how much work a motor can do in a given amount of time. Torque is the degree of angular force that the motor can endeavor to produce. Speed, in this context, refers to the rate at which the motor turns. FHP motor manufacturers also think about your motor type, bearings, enclosure, mount, power supply, and thermal protection. Bearings must match the application in both weight capacity and speed/torque capacity. Some are best for heavy duty loads, while others are best for light duty loads. Common choices manufacturers make include ball bearings (for heavy axial loads), sleeve bearings, and needle bearings (for high speed applications). Enclosures protect the motor from outside influences like corrosion, impact, chemicals, etc. Manufacturers select enclosures based on the size, shape, and protection requirements of the FHP motor. Power supplies that manufacturers use for FHP motors include single-phase AC power, AC three-phase power, and DC power. Usually, manufacturers go for single-phase power supplies. They carefully select the voltage they will use based on the application requirements, including the location (European markets and the various markets in Asia call for different motor voltages). Thermal protection is a feature that tells the motor to shut off anytime it reaches a predetermined heat. Manufacturers choose the shut off temperature to be a little under the temperature at which the motor will overheat. The thermal protection mechanisms that manufacturers most often install are manual reset switches and automatic reset switches. As their respective names imply, operators must reset manual switches themselves (after the motor has cooled down), while automatic reset switches will turn the motor back on by themselves. Manufacturers can customize traits like voltage, number of phases (three-phase motor, single-phase motor, etc. ), power supply, and motor frequency. The size of FHP motors is based on standards that have been established by the National Electrical Manufacturers Association (NEMA). In fact, sometimes FHP motors are called NEMA motors. In general, FHP motors feature a rotor or rotating shaft, a stator, a field magnet, a coil, an axle, and an enclosure. Since fractional horsepower motors come in so many different types, there are different ways that they can operate. Some are fuel powered, but most of the time FHP motors run on electricity. In addition, some FHP motors run on the power source of magnets. 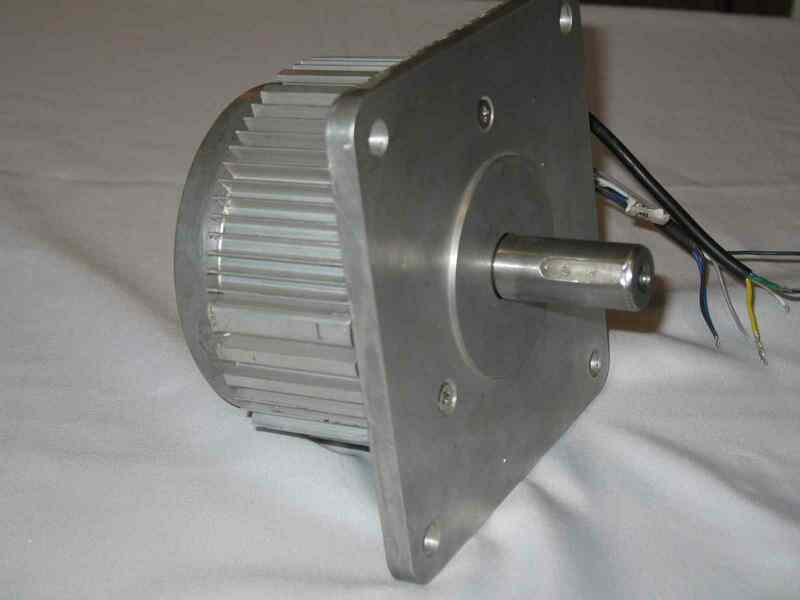 Electric power makes it easy for these motors to have variable speeds and reversible gears. Because FHP motors are universal electric motors, they can function on alternating current (AC) or direct current (DC). To generate power, both AC and DC FHP electric motors use magnets that provide motion. The magnets react with the current, causing rotation. Small electric motors use 745.7 watts of power. They are durable and reliable and have four basic parts: two battery leads, a cylindrical enclosure, an axle, and a nylon end cap. ½ HP motors are FHP motor types that run on about 373 watts of power, which is half of one horsepower. ¼ HP motors are FHP motors that run on one quarter of a horsepower, which is approximately 186 watts. AC motors run on alternating currents, or currents that flow in the opposite direction. They are typically electric motors, and they use either AC induction (AC induction motor) or synchronous (AC synchronous motor) motor powering methods. DC motors run on direct currents and these currents flow in one direction only. Generally electric motors, DC motors can use variable speeds. Variable speed FHP motors can direct the speed of the motor to increase or decrease as desired. The low horsepower makes the speed and motion easier to control since control in an FHP motor is so precise. Electric powered fractional motors are built with a rotor (AC motor rotor or DC motor rotor), axle, coil, field magnet, and enclosure. To help conduct electrical currents, some FHP electric motors also have internal brushes. Brushless FHP motors are costlier because they require an external power supply to transfer their current. Fuel-powered fractional horsepower motors use exhaust valves and a fuel chamber to generate power instead of a coil and magnet. FHP fuel-powered motors, also called internal combustion engines, can be fueled using gasoline or diesel depending on the design. Permanent magnet motors are FHP motors powered by permanent magnets (PMs) located in their rotor assemblies. There, the assembly stays in line with the stator magnetic field as it rotates. PMs create motors with more power, higher torque (even when running at a low speed), higher torque efficiency, and no slip. The only disadvantage of permanent magnet motors is their cost; because manufacturers often make the with rare earth magnets, they can be quite expensive. FHP induction motors contain not permanent magnets, but only electromagnets. Induction motors employ a coil wrapped around a stator in order to modulate electrical current. Said modulation jumpstarts, or induces, a rotating magnetic field that revolves around the rotor. FHP single-phase motors are popular as inexpensive, efficient, and trustworthy motors. They run using a single-phase AC electric power. In other words, they get all of their voltages in unison from one source. FHP gearmotors reduce motor speeds using a combination of the motor and a gear head. Sub-fractional motors, also known as micro motors, are extremely small fractional horsepower motors. Typically, they are found in items like electric toothbrushes or remote controlled toys. Fractional horsepower motors offer a number of advantages. First, they’re energy efficient motors, especially when compared to larger and older models. This is an especially attractive feature to those wishing to decrease their bottom line and/or engage sustainable practices. Electric FHP motors, which are most of them, are particularly advantageous, as they use no fossil fuels. The elimination of fossil fuels equals lower costs (both initial and long term), easier maintenance and lower maintenance costs, longer service life, easier control, and no fuel-related pollution. Fractional horsepower motors have virtually all the same accessories as larger electric motors. Examples of such accessories include couplings, motor bases, adaptor bases, brush holder caps, rectifiers, dust covers, brakes, and foot mounts. Fractional horsepower motors are beholden to a variety of different standards, depending on their application, industry of use, and location. In the United States, NEMA (the National Electrical Manufacturers Association) publishes extensive motor and generator standards, including motor frame size standards. It’s important to make sure any fractional horsepower motor you purchase has been assigned a NEMA rating. While FHP motors are exempt from certain energy efficiency requirements (since they’re so small), they are often required to meet RFI (radio frequency interference) standards. Of course, they must always meet the standards used by the industries in which they will be serving (the military, medicine, food and beverage, etc.). To find out more about those, talk to your industry leaders. No matter your motor type, it is not guaranteed to run well, unless you work with a high-quality manufacturer you can trust. There are a lot of options out there, and we know that can be overwhelming. That is why we have put together a list of reliable, experienced fractional horsepower motor manufacturers for you to consider. You will find their information, complete with profiles, sandwiched in between these informational paragraphs. Before checking them out, we recommend you take the time to put together a list of your specifications. This will help you more quickly determine whether or not a potential supplier provides the services you need. This will also make your conversations more focused and productive when you talk to your potential suppliers.  After you have written out your list, take a look at those companies we have listed. Pick out three or four you believe to hold the most promise, then reach out for a quote. Talk to each of them at length about all your requirements, including budget, timeline, standard requirements, delivery preferences, and post-delivery support preferences. Once you have spoken with each of them, compare and contrast your conversations, and pick the right one for you. Good luck!